numbebr1 is using Smore newsletters to spread the word online. I think that bigfoot is real because look at the evidence that we have from foot prints and hair samples. We have pictures of them on game cameras and videos. 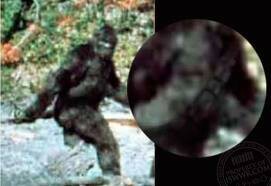 For example the P. Patterson video that is real proof of bigfoot! !